The second bookmark contest of the year is officially underway! This time the theme is...your favourite book (or books or author or series)! Come by the library today to pick up your entry form. Your design should be unique (i.e. not copy the cover of the book). Be creative and see what you can come up with! The End of the Line is an Awesome Book! The Silver Birch Club finished reading Sharon McKay's book The End of the Line a couple of weeks ago. We loved it! Students learned so much about World War II, the experiences Jewish people lived through, the role the Dutch played in the Netherlands, and much more. Many discussion were had about human rights, fairness, and the realities of war. Below are some reactions we had about the book. Be aware- there are some spoiler alerts! Stay tuned for more reactions as we finish them! We are now reading Swallow: A Ghost Story by Charis Cotter. It's very interesting so far! Please join us Thursdays at lunch if you want to find out what happens in this book! 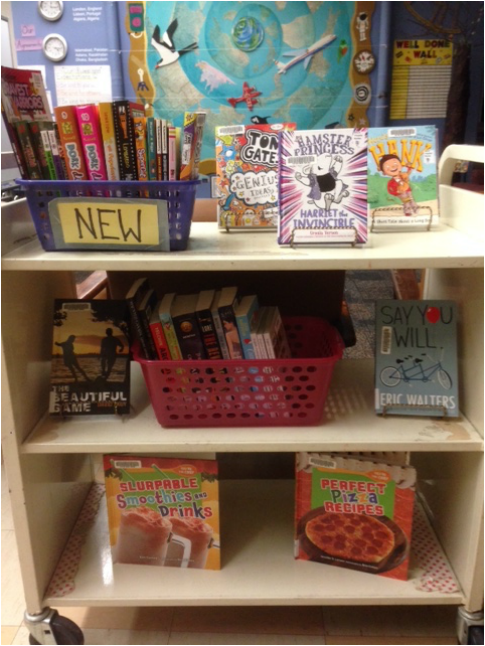 After the excitement of new graphic novels last week, we now have new chapter books ready this week! There are some great new short chapter book series perfect for primary and junior students. Here's Hank is one of them. It's written by Henry Winkler and is about a boy who struggles with reading, but can always be counted on to make his classmates' day better and funnier. The text is a special font that really anchors the words to the page, making it easier for readers to read independently. Read a new TumbleBook everyday!! Click below. Authors Are Following Us on Twitter! Yay! If you haven't already followed us on Twitter @brockps_forest, please do so! We already have some Blue Spruce, Silver Birch, and Red Maple authors following us! Susin Nielsen even replied to Ms. da Silva's class tweet about her book, We Are All Made of Molecules. So cool! Students will be tweeting their thoughts during club times and Ms. Kondo will keep everyone updated about what the clubs are up to and other important information. Forest of Reading Twitter Account! We're trying something new this year! A special Twitter account has been set up for all things Forest of Reading at Brock! 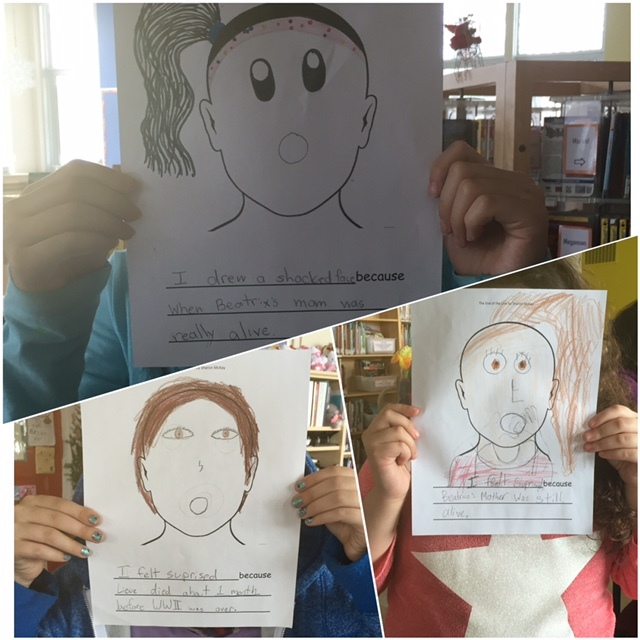 Students who are in the Silver Birch and Red Maple clubs will have the opportunity to write tweets about what book they are reading and their thoughts and feelings about the program. They can even tweet the authors. Hopefully some of them will tweet us back! P.S. The Forest of Reading sections of the website are updated for this year. Check it out! After a very long hiatus, we are glad to say that our blog is up and running again! There are lots of exciting things happening in the library. It's been great to see so many students coming to check out books and use the space. Already this year we have had a bookmark contest (the next one is just around the corner), a successful book fair, and now we are starting our Forest of Reading programs. Check the Forest of Reading section of this website for more information. Lastly, the first batch of new books is almost ready for circulation. Be sure to come check them out! If you've ever wanted to tell everyone what you think about books and reading, then this is the contest for you! Create your own quote and you could be one of five winners who get a free book! But that's not all! All well-thought out entries will be featured as the Quote of the Day on the library bulletin board. Here is the Quote of the Day Contest Poster for more information. Entries are due by Friday May 1. Good luck and happy reading! Congratulations to Sowarima for submitting a great book review for March! It was very detailed and well thought out. You can read what she has to say in the Student Page. Pick up your forms for the April Book Reviews in the library!